← Let’s Get Real conference 2011: discover the programme and meet the speakers! I asked one delegate, University of Ulster PhD student Oonagh Murphy, to share her impressions of the event. 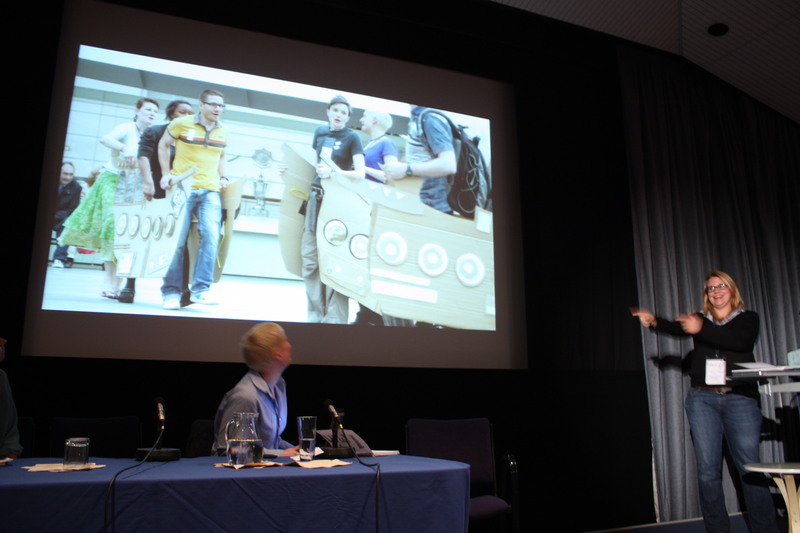 The Let’s Get Real conference was the outcome of a two year research project. The project included 17 partners from Kew to the Royal Shakespeare Company and explored how cultural organisations could evaluate online success. The first night of the conference saw the launch of the Let’s Get Real Action Research Project report. Whilst the report provides key benchmarking data, all involved in this project expressed the need to continue to develop our understanding of what online success is, and how we measure it within success-orientated funding structures. The sponsorship of both the conference launch party and future training events by Google demonstrates the reach of this research: more than simply being a paper report it has made a case for digital, for innovation but also for accountability and metrics in the wider cultural sector. The support of Google adds a certain gravitas to what the report says and indeed helps position this report within broader digital conversations that are taking place outside of cultural organisations. With conference registration starting at 8.15 on the second day I think we all knew we were in for a busy and challenging day. 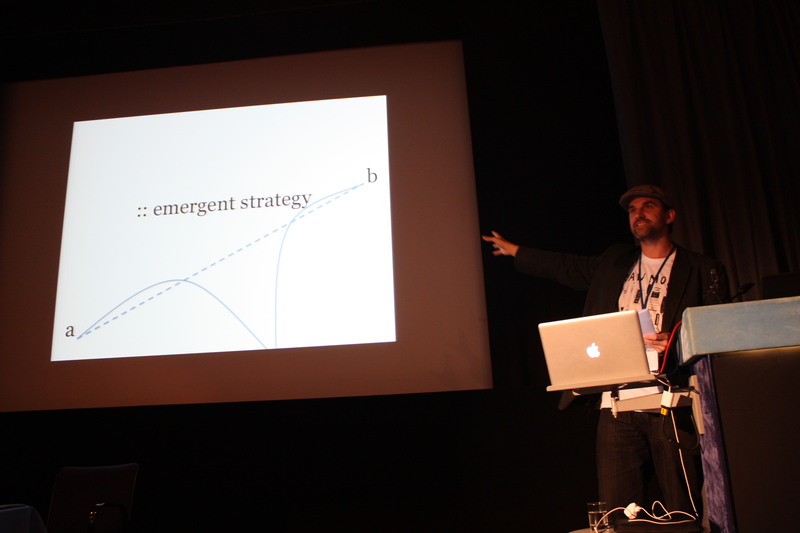 The conference opened with keynotes from Tom Uglow, Creative Lead at the Google Creative Lab, Europe and Matt Locke from Storythings. What both Tom and Matt brought to the table were insights from other industries, something that perhaps we as cultural organisations need to listen to more of. Tom talked about the importance of vision rather than scale, encouraging cultural organisations to think big and start small. Matt highlighted Million Pound Drop as a good example of a dual screen format which encourages viewers to play a game live on their computer whilst watching their TV. He cited dual screen formats as ways to increase attention share: for museums, this could increase engagement and indeed the impact of an experience. Jane Finnis discussed the Let’s Get Real Report, but rather than paraphrasing I would direct you to the foreword she has written in the report. It sums up the case for this and indeed further research perfectly. Before lunch came the Failing Forwards session: whilst quite an unusual session it proved to be a valuable one. A range of cultural organisations stood up and said this is a project that we did, it failed, this is why, and this is what you can learn from our mistakes. You can read more about this session on my personal blog. After lunch we broke into two parallel sessions, a Crit Room where a range of organisations put forward their websites to be critiqued by a panel of experts, or Talk Tables (think a cross between speed dating and networking). I opted for the talk tables and got some really useful advice from a range of different companies such as TripAdvisor, Cogapp and JISC. Every 10 minutes a bell rang and that was our cue to move to the next table. This was a great way to start conversations, many of which I have already picked up by email. I think we all left with more questions than perhaps answers, but then it is always nice to leave a conference feeling both inspired and challenged. I should end by saying a big thank you to all the speakers for sharing their stories and of course to the Watershed for being such great hosts. Thanks very much, Oonagh! I have a couple more blog posts to write this week, sharing my new knowledge on how to promote a conference and how to actually run one. Yes, I’ve learned a lot! This entry was posted in Guest post and tagged conference, Culture24, Evaluation, event, Guest post, resources. Bookmark the permalink.